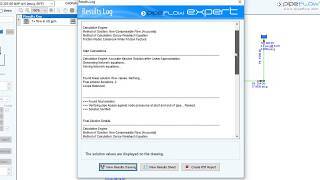 Pipe Flow Software ® Official - Pipe Flow & Pressure Drop Calculator Software. 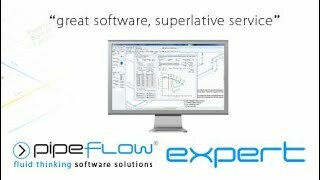 Pipe Flow Expert Software is used by pipe system designers & hydraulic engineers in over 100 countries worldwide. The software calculates flow rates, pipe pressure drops, and pump performance. It can model pipe systems with multiple supply points, discharge tanks, components, valves, & multiple pumps in series or in parallel. 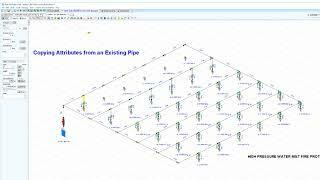 The Pipe Flow Expert Software can be used to model pipe systems with just a few pipes through to more complex systems with many hundreds of pipes. Find out how the Pipe Flow Expert Piping Design Software can help you (just like it helps other professional engineers in over 100 countries worldwide). The Pipe Flow Wizard Software Calculator can be used to find flow rate, pressure drop, pipe size, or pipe length, based on a single pipe calculation. Find out how the Pipe Flow Wizard Single Pipe Calculator can help you perform calculations on a single length of pipe, saving you time & effort, and improving the reliability of your calculated results. The Pipe Flow Advisor Software can be used to calculate flow rates in open channels, work out tank empty times, and find volume of different shapes. Find out how the Pipe Flow Advisor Software for Channel & Tanks can help you with your channel, tank, and volume calculations. The Pipe Flow Expert Software has been an extraordinary tool for me at Georgia-Pacific for the almost 3 years that I have been using it. It is one of the best programs in its genre that I have ever used. Easy-To-Use, Unbeatable Value, Unrivalled Support! Useful links related to the calculation of fluid flow type, flow rate, friction loss and total pressure drop in a pipe. Pipe Flow Software Located at Springfield House, Water Lane, Wilmslow, Cheshire, SK9 5BG, England. Phone: +44 161 408 3569. https://www.pipeflow.com.